Hampton Lakes is one of the new developments that has brought about the rapid growth east of Interstate 75 in Sarasota and Manatee Counties shortly after the Great Recession. This community is located on the block of 14567 Fruitville Road in the northeast Sarasota area featuring wide open spaces, formerly the domain of cattle ranches and now an expanding search destination for buyers of Sarasota homes for sale. Medallion Home, Hampton Lakes’ developer, has meticulously preserved the countryside ambiance in this community which it platted with 3- to 12-acre lots. The blueprint for this development puts its home sites either adjacent to a lake or a verdant nature preserve. Prospective buyers of homes for sale in Hampton Lakes will have a choice from five models all of which are one-story builds. These designs feature floor areas ranging from 2,300 to 3,300 square feet designed with three to four bedrooms and provided with a three-car garage. A builder of semi-custom homes since 1984, Medallion is offering to aspiring buyers of Hampton Lakes homes for sale the complimentary services of a consultant at its Design Center. This opportunity allows the buyers to fit their home design choices to their personal tastes and preferences. 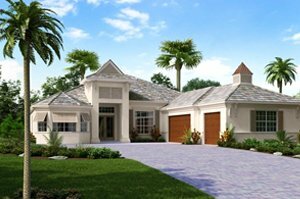 The Barbados, one of the home options available at Hampton Lakes, is notably one of the awardees in the 2017 Manatee Sarasota Parade of Homes organized by the local Building Industry Association. This Medallion showcase was cited as best in curb appeal and as best kitchen in its category. Underscoring the richness of space in Hampton Lakes, this home design comes with a floor area of 2,811 square feet, featuring four bedrooms and three baths. Its pricing starts from the high $500s, and owing to its popularity amongst buyers of Sarasota homes for sale, Medallion has come up with three variations of the Barbados. The top choice amongst Hampton Lakes home for sale is Medallion’s Grand Santa Maria for which pricing starts from the low $600s. Truly spacious, it features floor area of 3,252 square feet designed with three bedrooms and three baths. All of the home picks in this community have an option for a swimming pool. Optional memberships in several country clubs nearby are also available. 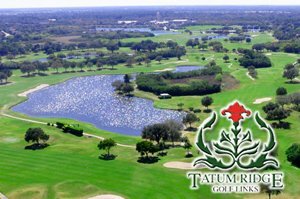 A short distance west of this Medallion development are choices from amongst the Tatum Ridge Golf Links, Founders Club and Laurel Oak which offer social and golf membership in their upscale clubhouses and championship links. More life and leisure choices north at Lakewood Ranch can now be easily accessed as well. The Lorraine Road extension to Fruitville Road has been opened. This extension provides a more convenient route to the shopping and dining venues as well as recreation centers and employment hubs in the master development. Experiencing “staycations” is quite easy too for residents of Hampton Lakes. Just south of the community is the sprawling Myakka River State Park. It provides camping areas for a close appreciation of its 57 square miles of natural wonder of wetlands, prairies, pinelands and hammocks that pretty much define too the lifestyle offered at Hammock Lakes. 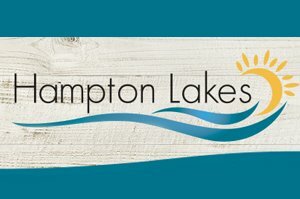 Below are the current real estate listings available at Hampton Lakes.